Discernment can be approached in many ways. Personally, I’ve found it easier when I begin with my own heart, my identity, and experience (as at the center of a circle) and then gradually expand outwards to my situation, my family, community and workplace, the calls of the Church, and the needs of the world. 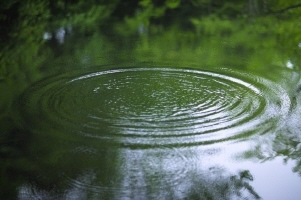 If we imagine discernment as a series of concentric circles, the innermost circle would be my interior life, including: my God-given identity, my feelings, thoughts, deep desires, my gifts and limitations. We discover these in prayer and also by praying with our history, the needs of the world, and our current situation. In particular, reflecting on and praying with our gifts and limitations—the ways that God has given us to be and to act in the world—is extremely helpful in discerning a course of action or our vocation. One of the most popular sayings of St. Thomas Aquinas is: “Grace does not destroy nature but perfects it.” This is helpful in understanding that we are called be holy in a way that respects our humanity, although grace also enables us to transcend the merely human and to selflessly sacrifice for the sake of love. A superficial examination of the lives of several saints quickly reveals how unique each saint’s path to holiness was. (I give a quick example between St. Pio and St. Frances Cabrini in this earlier post.) Sanctity certainly has many common elements: faith, hope, and love; the works of mercy; the Beatitudes. But how each individual is specifically called to live holiness is unique, partly according to that person’s gifts and limitations. Taking into account our gifts and limitations, therefore, is an important part of understanding God’s call for us. There are certain roles that require certain aptitudes or skills. If we are discerning our call to a role that has such requirements, we need to reflect on whether we have the aptitudes or the ability to acquire the needed skills. We don’t discount the reality that grace can help us to do something that would ordinarily be beyond us, but we also don’t seek to work against the foundational inclinations of our personality, unless we have a compelling reason to do so. As a college student, Sarah is currently discerning her future career. At heart, Sarah is an artist and idealist who feels called to serve others. For some reason—perhaps because of her family background—she believes that being a doctor is the best way to serve others. Yet, she finds herself dismayed when she starts to fill out an application for medical school because she feels no personal inclination towards a medical profession: she isn’t good at science, and she becomes faint not just at the sight of blood, but at the thought of blood. If Sarah’s interest in becoming a doctor is based solely on her theory that being a doctor is the best way to help others, then she is basing her discernment on a faulty assumption, and her resistance to filling out that application is a real indication of that. The clue here is not that being a medical doctor is hard, or a lot of work, but that it actually goes against Sarah’s personal inclinations and gifts. Sarah may indeed be called to serve others, but in another way. Since a young woman needs to have a certain amount of flexibility and sociability to be happy as a Daughter of Saint Paul, this becomes part of her discernment with our community. If she doesn’t have those particular qualities, it doesn’t mean she isn’t a wonderful person called by God to a special mission, but it’s an indication that she might be called somewhere else—perhaps to another congregation of sisters who don’t live community life together so closely, or perhaps to single life, or married life. On the other hand, someone who hastily dismisses an invitation to be involved in something good–such as their parish’s outreach program–only because it’s “too hard,” is not really discerning. The amount of sacrifice involved is not the question; as followers of Christ, we will always have something to offer because we seek to love selflessly as Christ does. Instead, the question is how God is calling us to use our particular gifts and our limitations to serve others’ needs in the way that only we can. ← Lectio Divina for Discerners: What do you seek?